2016 is the first year of the 4K UHD, in addition to the 4K UHD of Sony, including Global, Warner, Foss, and other Hollywood manufacturers have begun to issue their own 4K program, only Disney is still watching state. 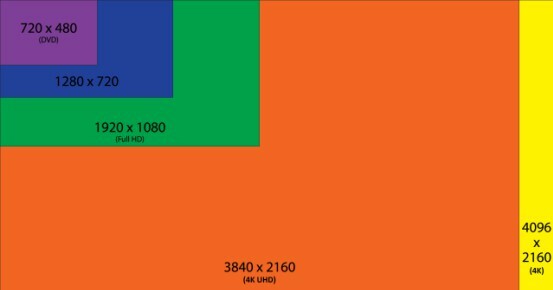 Since the advent of 4K UHD TV, in the major TV manufacturers pushing, 4K TV prices quickly decline, the popularity will exceed market expectations, more and more into the ordinary user family. In the TV set into 4K Universal Avenue, the projector market pace is slow a big cut. The reason, of course, is not the technical problem, but more market factors. In everyone look forward to this year 4K ushered in the transition, sure enough, there are some manufacturers for the industry users to bring the price of 20,000$ within the 4K domestic projector new products, in one swoop will be 4 K into the pro-people era, 4K projector accelerated into the road of popularization. With 4K resources, 4K TV, 4K projection have entered the high-speed burst period, directly with the matching signal providers, amplifiers, TV screens and connecting wire needs, triggering these peripheral products manufacturers have begun to gear up ready to rush into this Wave boom. The appears of HDMI2.0 AOC cable, enable us from the “copper era” into the “light era”, breaking the disadvantages of the HDMI copper cable can not achieve long-distance 4K UHD signal transmission, HDMI AOC cable transmission distance of up to 300 meters. In addition, the HDMI Active Optical Cable (AOC) with three core technology to subvert and solve the traditional HDMI cable product itself is inadequate, to further improve the application of HDMI cable. Traditional HDMI copper cable faces a long bottleneck. 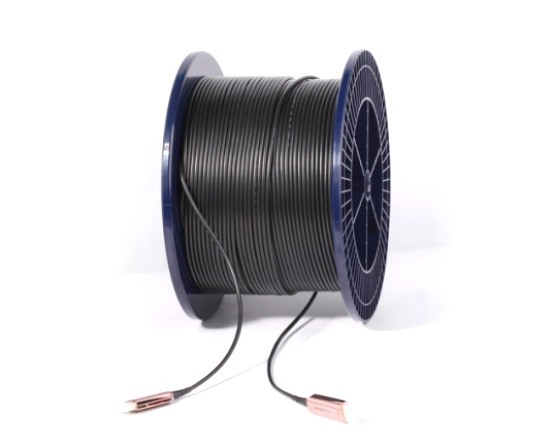 Because the copper cable is the electrical signal transmission, the longer the application distance the signal will be weaker, and in order to transmit the signal as far as possible, often use thicker copper cable. For the user, not only faced with the signal weakened lead to the visual experience of the discount, but also tolerate the beautiful and difficult to install wiring problems. While the HDMI Active Optical Cable (AOC) will not face this problem, compared to traditional copper, HDMI Active Optical Cable (AOC) with longer, more fine, more soft, better signal quality, no radiation, free from electromagnetic interference and other advantages. Completely out of traditional HDMI copper cable in the long-distance transmission of information damage large shortcomings, which is a qualitative leap in HDMI high-definition cable. The advent of HD display equipment, represented by 4 K TV, further promotes the people to the high-quality image and the audio demand, various high-speed interface standard unceasing development, the mainstream HDMI interface uses the cable to use the copper cable, the copper core line in the transmission rate, the transmission quality and the transmission length is gradually unable. The mature application of fiber cable in the field of communication brings the dawning of the consumer data connection line. The HDMI AOC uses the optical fiber as the transmission material, compared to the copper cable’s electrical signal transmission, uses the optical signal transmission to realize the speed faster, the transmission farther and the signal transmission is more complete. The qualitative change of “core” is bound to bring about a new transformation in the field of transmission. Based on the innate transmission advantages of optical fiber products, the HDMI Active Optical Cable (AOC) high bandwidth greatly enhance the data transmission speed, directly upgrade the user experience, so that audio-visual more detailed and shocking. Large details show more vividly, no delay in the transmission rate also allows users more enjoyable. HDMI Active Optical Cable (AOC) using optical fiber transmission, completely free from external electromagnetic interference, to ensure high fidelity of the signal, especially for audio transmission, the bottom noise is very small, high degree of sound fidelity, so we do not have to worry about using sound, microwave and other equipment Of the interference, and to the user to bring theater-class audio-visual feast. Now people are exposed to a variety of polluted environments every day, health has been a serious threat. If you go back home also suffered a variety of radiation, how can we be protected health? Thanks to the use of optical signal transmission, HDMI Active Optical Cable (AOC) enable zero radiation, thus eliminating the people’s concerns, which is copper can not do.